The SRAM RED AXS crankset leverages a pivotal design innovation: smaller chainrings and a wider cassette range. In order to offer exceptional cadence and efficiency, the range has been moved from the front of the drivetrain to the back, creating a consistent 13-tooth gap across all variants of chainring duos. The crankset is designed specifically for electronic shifting and can be upgraded to a power meter. 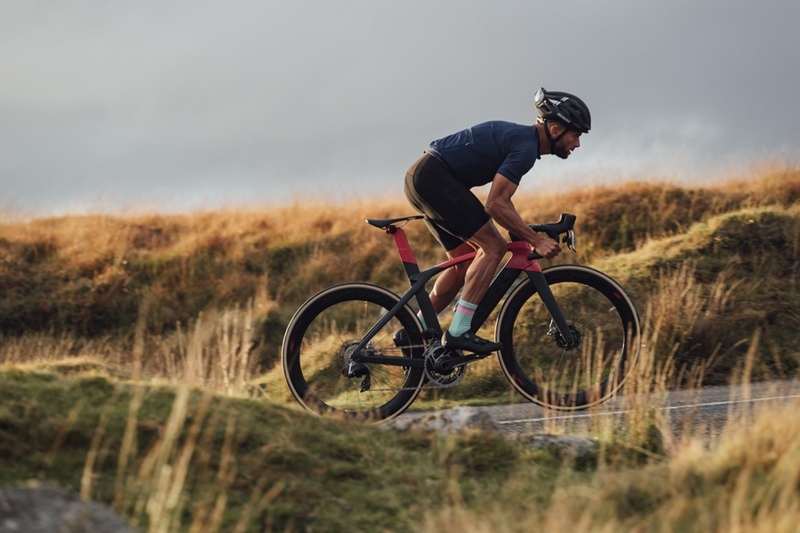 SRAM RED eTap AXS™ allows riders to push boundaries without any distractions. This intuitive and high-performance electronic groupset works smarter to offer wider range, and more useful gear progression. Shifting is quiet, secure, and smooth whether on tarmac or gravel with the help of Orbit chain management technology. RED eTap AXS™ can be completely personalized to the individual rider, so you can explore limits like never before. 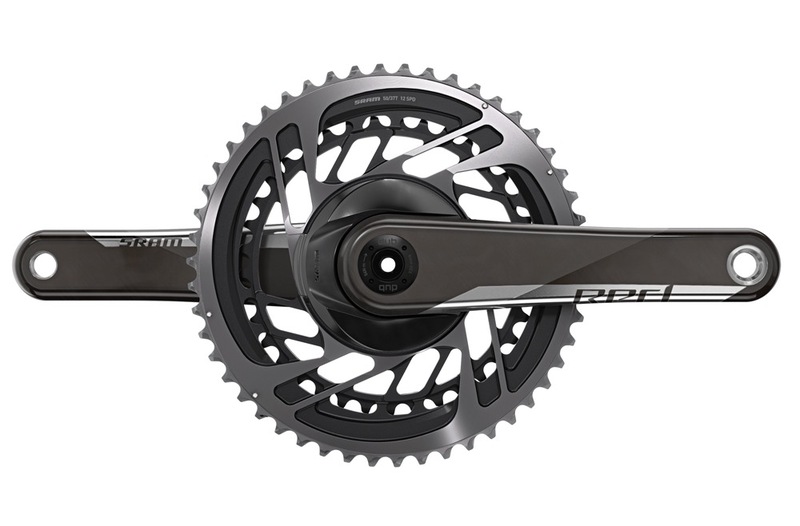 The SRAM RED crankset leverages a pivotal design innovation: smaller chainrings and a wider cassette range. This leads to smoother and faster shifting up front and more useful gearing for today’s riders. X-Range gearing technology gives you more range and a smoother gear progression, so you’re always in the right gear. The unique chainring design results in a lighter and stiffer crankset, while the DUB bottom bracket (sold separately) adds durability, simplicity and broad compatibility. These new configurations improve cadence and efficiency while also delivering shifts that are crisp, clean and quick—every time. Control, personalize and monitor. AXS™—SRAM’s bike component integration system—takes eTap® wireless shifting to the next level. The SRAM AXS™ app allows riders to see battery status, change component behavior, personalize controls, get maintenance reminders, and update firmware. A smaller eTap AXS™ BlipBox™ easily integrates into aero frames for improved aerodynamics and a super sleek appearance. AXS™ allows you to mix and match Road and MTB components for a completely customized experience.